Have to agree with Viveka. You are our lone window into Portugal. Hi Madhu 🙂 Julie Dawn Fox, who runs the A-Z challenge, covers central and northern Portugal with much more authority than me. (she lives near Coimbra) She usually provides recommendations for places to stay too- often very nice manor houses. I don’t tend to do that because I haven’t stayed in so many places. 80 people likes what they landed in here and so do I – your story .. the stunning images and how you sold it to us. 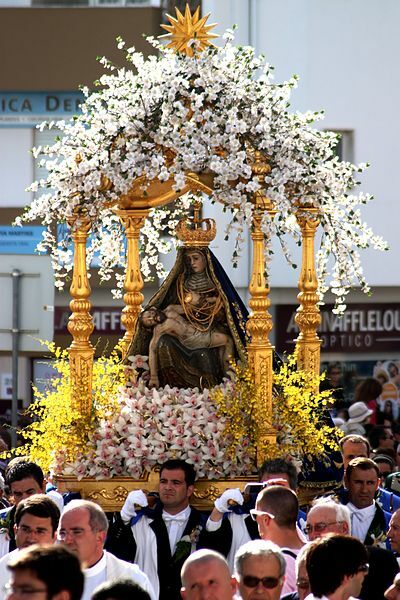 We all would love to visit Loule now – know so little about Portugal. So beautiful done this post – are you going down over this Easter ???? Tell you, Jo … I rather go to Prague for the Silver Wedding – you get so much for your money .. and much friendlier. Maybe you already been??? Cheap flights and fantastic hotels that doesn’t cost an arm and leg. Paris a 3star hotel cost about £120 and more per night. Prague is so beautiful and romantic. Sorry I meant £200 … its a joke. Thanks for the photo tour. It’s what I do best! 🙂 (well, sometimes, anyway) Glad you could come along. 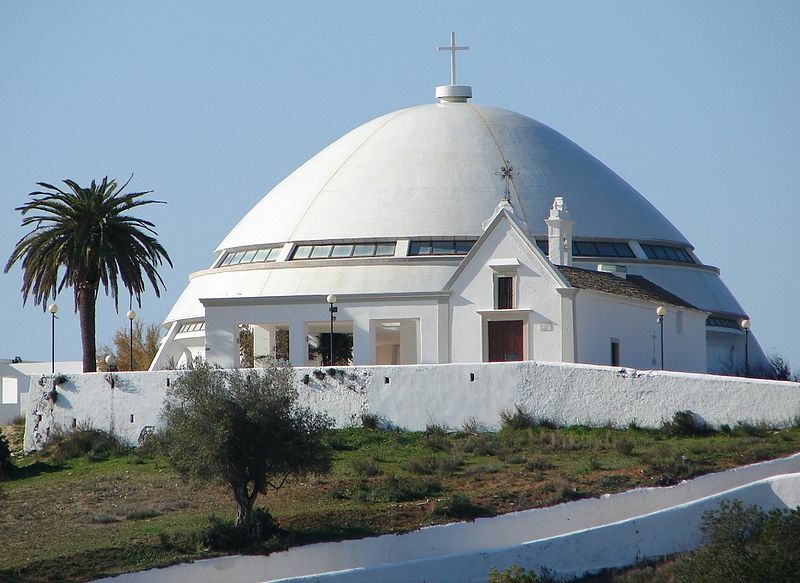 Looks as though Loule is going on my list for whenever I next make it down south. That’s a good idea, Julie 🙂 Especially if it coincided with Carnaval or Easter. Many thanks for your tweet. 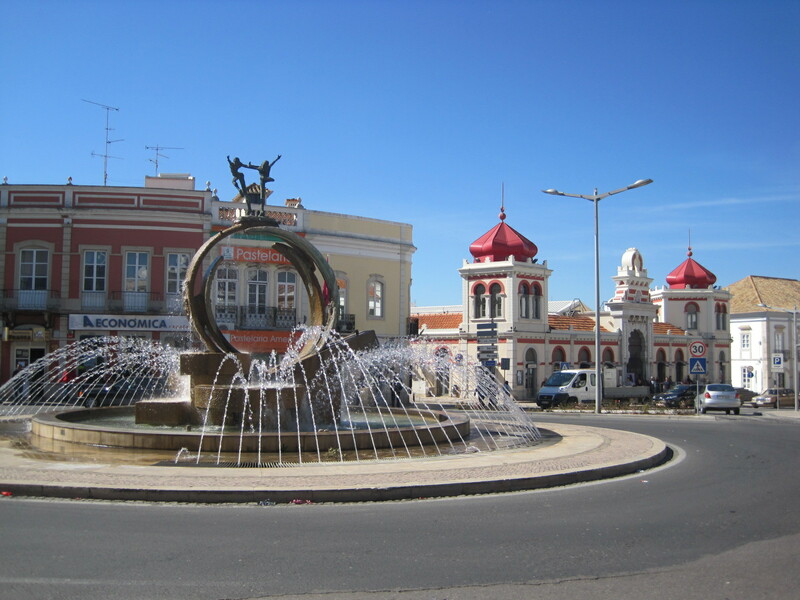 Loule looks like another amazing Portuguese town, Jo. Oh how I wish I could go back. I love the festive dancers (where were you??) and I love your photo of the Arab market and Nossa Senhora da Piedade. I guess you never figured out how to put the black borders on the pictures, since WordPress changed everything? Jude has sussed that you can do it in Edit if you use Html but I haven’t tried it yet. I used a Gallery so this one didn’t need it so much. Tomorrow’s walk has too many photos to try it out but maybe the next post. Edit in HTML?? Okay, not sure I know what that means, but I’ll mess around and see if I can figure it out. 🙂 Hope you’ve had a good weekend! I can see this was a lovely and lively town. What fun memories, too! 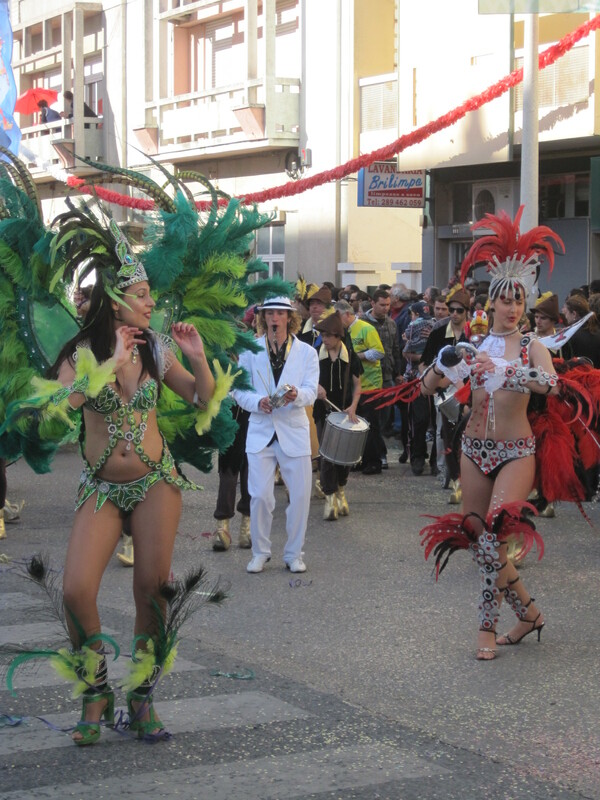 Loule’s is a culturally rich town with fun and colorful celebrations. I enjoyed both the carnival event and the tour of the town. So much things to discover. Wonderful post! Oh my, how picturesque this place is! I love your photos of it – esp the first one…. Morning, Sonel 🙂 Oh what a grim and grizzly morning it is here. Not so many smiles from me today because I’m nursing a shoulder injury and too much laptop time is painful. Fortunately I played with my cats and dogs for 6WS before this happened. Lovely colourful photos and atmosphere Jo – could do with a bit of carnival here! Love the post and the pictures, Jo. Very nicely done! Thanks, Raani 🙂 It’s quite an interesting place for a potter around.